West Sussex, UK - Summers Place Auctions in Billingshurst, are once again holding live and sealed bid auctions of architectural salvage, antique garden ornament, taxidermy, fossils, tribal art and modern sculpture on 18th and 19th September. 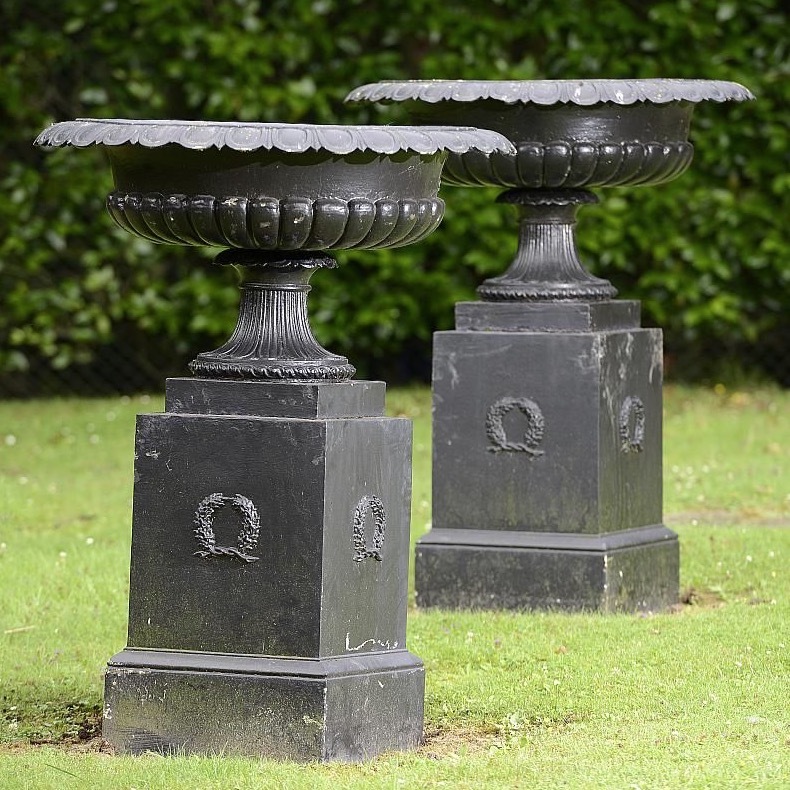 Two pairs of cast iron urns are for sale, one pair of gadrooned and fluted urns attributed to Andrew Handyside (1806-87) of the Britannia Iron Works in Derby and the other pair of tazza urns 'probably by Handyside'. The Britiannia Foundry in Duke Street, Derby, was bought by Handyside from Thomas Wright by Handyside, a Glaswegian, in 1846. Handyside had previously been working in St Petersburg. The firm was known for building bridges around the world, as well as pillar and post boxes, and, of course, ornamental cast ironwork. He was a director of the Waterworks Company, the Derby and Derbyshire Banking Co and a member of Derby town council. Summers Place auctions is the auction world's only Salvo Code supporters with James Rylands, then of Sotheby's, being on the founding committee in 1993.